Dr Darla by Jo Ellen Layne is a contemporary Christian novel that deals with mental health and the aftermath. Jo Ellen Layne has taken her years of experience as a social worker and woven it into a story. Mental illness can affect anyone at any time from all walks of life. It is important to listen to the patient and then prescribe the correct treatment. It is important to recognize the trigger for mental illness. Jo Ellen Layne has many godly lessons for us to learn as she incorporates her faith into her novel. 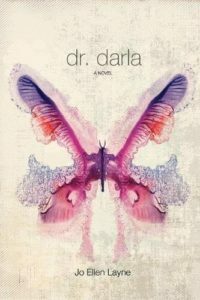 Dr Darla is not a ‘preachy’ novel but has sound advice for us all. There are hard to read scenes but then life is not always easy.